We all need to go to the toilet occasionally even when we live on a boat and the type of toilet you’ll find on a boat or need to install if you’re refitting a boat will depend on the type of boat you have, whether you’re cruising canals, rivers, oceans or seas, the fresh water capacity your boat has and whether or not you have access to a power supply. The following information should give you an idea of the type of toilet you can expect to find or will need to consider if you’re refitting a boat. A manual sea toilet is usually your only option for small yachts and cruisers as space, weight and power are all going to be prime considerations and where water consumption is not going to be an issue. The reason an electric toilet is unlikely to be an option is due to the fact that the power supply might be insufficient to cope with one. However, if your yacht or cruiser is large and more likely to be cruising the oceans or seas it will probably come equipped with a more sophisticated power supply which therefore means that an electric toilet is the most practical. These will also have the opportunity to discharge overboard when out at sea although you’d need to check for any restrictions as you may also need to make provision for a holding tank and a seacock which is a valve near the hull of the ship which can safely open and close for waste discharge. All of these types of boats will require a self-contained holding tank on board and will be subject to discharge restrictions and where you’ll only be able to dispose of toilet waste at designated sewage disposal points. The size of your boat and therefore the size of any holding tank along with the amount of fresh water supply you have access to will also have an effect on your toilet. The main issue is that smaller craft will need to use more of a raw water flushing system which will mean that more contaminated water will be drawn into the pipework. Therefore, if allowed to stand in the toilet bowl for a fairly lengthy period, it will cause the bowl to become discoloured and, worse still, the smell will become unbearable. 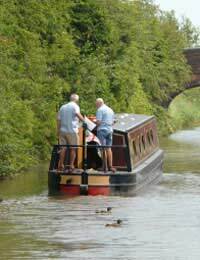 This is not the case with larger boats so much as they have holding tanks which can carry much more fresh water for flushing which keeps odours at bay. Ultimately, you’ll probably have little desire to know how each of these operate as long as the toilet you do have fitted is the most appropriate for your boat.